Paddocks farm, being renowned for its beautiful location, and its wonderful myriad of animals, has now opened its doors for a new and exciting opportunity for guests. The option of inviting a variety of captive birds of prey for scheduled visits. Hilltop Birds of Prey, a neighbouring animal loving business with a more feathered speciality, are now available to visit you during your stay at Paddocks Farm. Hilltop BoP, are very happy to tailor an experience unique for your occasion, whether this is an organised family reunion, corporate event, or any visit to Paddocks Farm. 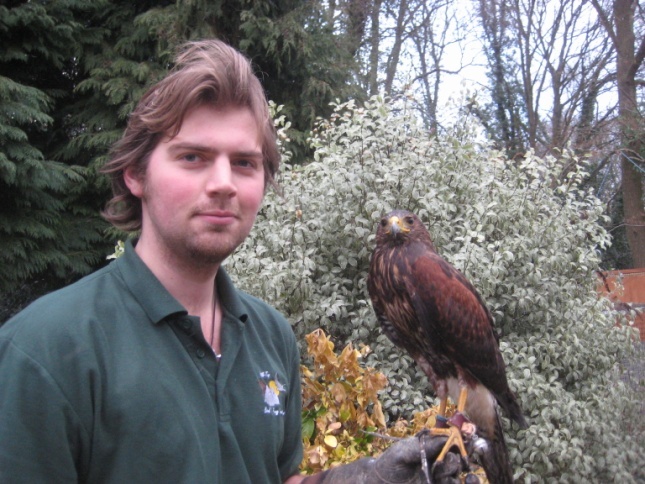 You can determine how long and how close the encounter is, from simply watching them fly, to handling and flying them yourselves and some tuition on the basics of managing and flying birds of prey. The birds are content and tame and provide a spectacular experience. They are even getting used to the animals they are encountering at paddocks, having never seen a wallaby or zebra before. This entry was posted in Living With Livestock, Paddocks Update and tagged barn owl. harris hawk, bird of prey display, bird of prey encounters, eagle, flying birds of prey, handling birds of prey, paddocks. Bookmark the permalink.